On Aug. 21, 50 years ago, the Soviet-led invasion of Czechoslovakia killed the dreams of reformers, broke the spirit of a nation and ushered in an era of oppression whose effects are still felt today. Could Soviet-style communism be reconciled with the dignity and freedom of the individual? 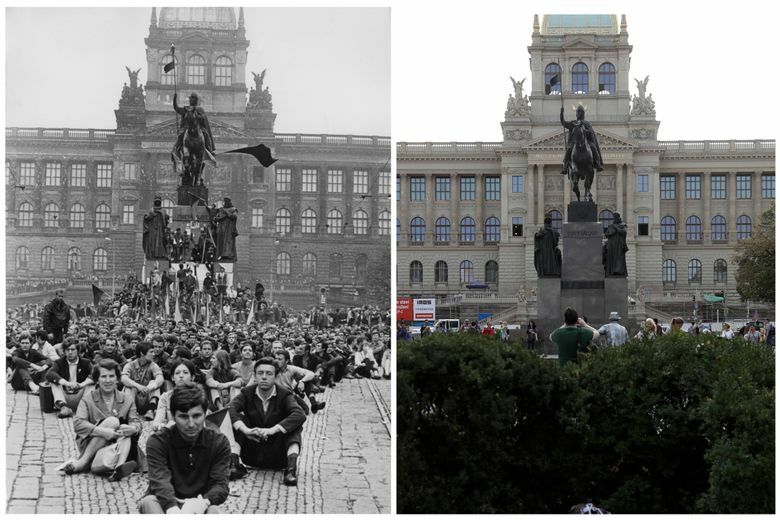 A season when hope and optimism were in bloom, it became known as the Prague Spring. But nearly as soon as the movement came to life, it was crushed under the treads of Soviet T-54 tanks. On Aug. 21, 50 years ago, the Soviet-led invasion of Czechoslovakia killed the dreams of the reformers, broke the spirit of a nation and ushered in an era of oppression whose effects are still felt today. Moscow succeeded in restoring the supremacy of the state, but the ultimate cost of victory was high. Perhaps more than any other event during the Cold War, the invasion laid bare for the world to see the totalitarian nature of the Soviet regime. The photographs of unarmed citizens confronting columns of heavily armed soldiers, pleading, “Ivan, go home,” made it clear to the world that this was an ideology that needed to be enforced at the point of a gun. 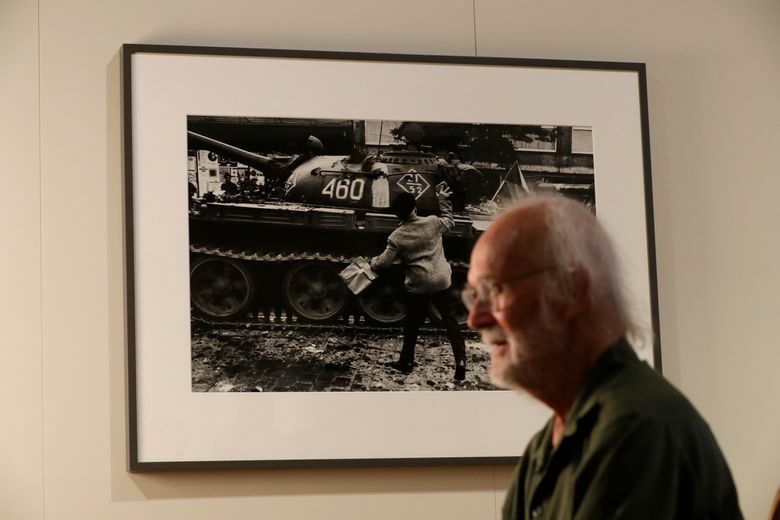 Many of the most famous images were taken by Josef Koudelka, who was on the streets with his Exakta camera loaded with film that he had cut from the end of exposed movie reels. In their intimacy and vivid detail, putting viewers on the street with shocked and horrified citizens, they showed the propaganda flowing from Moscow — that troops were sent to restore order and had been welcomed by the people — as utter lies. “It was a defining moment,” said Jiri Pehe, a former political adviser to Václav Havel, the first president of post-communist Czechoslovakia and now the director of New York University in Prague. Pehe was 13 at the time. He can still recall the shock of the moment — and not just the violence and chaos. “I still remember people going to the tanks and going to the soldiers, and talking to the soldiers who did not even know where they were, they were saying: ‘This is a terrible mistake. What are you doing here? Why did you come?’” he recalled. With the benefit of hindsight, it may now seem obvious that the countries that fell under the sphere of Soviet influence after World War II were doomed to fall victim to Stalinist oppression. When citizens fought back in nations under the Soviet yoke, such as East Germany in 1953 and Hungary in 1956, the rebellions were brutally crushed. But the Prague Spring was different. It was not an attempt to overthrow the communist regime, but rather one to transform it. Leonid Brezhnev, the Soviet leader, comes across as particularly incensed by the criticisms leveled at the Soviet system by a newly free and emboldened news media. Among the first targets of the invading troops were the Prague radio and television stations. U.S. intelligence agencies watched with concern as troops massed near the borders of Czechoslovakia, but the invasion caught the administration of President Lyndon Johnson by surprise. There was little Western nations could do. Some 250,000 troops from 20 Warsaw Pact divisions swept across Czechoslovakia, with 10 Soviet divisions filling the positions they vacated. They were backed by thousands of nuclear weapons pointed at Western and Central Europe. For the millions living under the heel of invading forces in Czechoslovakia, the shift from hope to despair was as swift as it was shocking. By 7:45 a.m., according to news reports at the time, Soviet-led forces had shot unarmed civilians gathered in protest. Confusion quickly turned to anger and desperation, as tens of thousands of civilians — young and old alike — gathered in the grand plazas of Prague, Bratislava and other major cities. They had no weapons, only defiance. As the chaos spread, some pleaded with the soldiers — many of whom were as bewildered as the people on the streets, as they had been told that they were to stop an insidious counterrevolution, only to be greeted with scorn. The most violent episode took place outside the Prague radio station, the city’s only major fountainhead of defiance. In an attempt to keep broadcasting, protesters moved city buses around the building and set them ablaze. When Soviet tanks rammed the fortifications, several set themselves on fire. It is still unclear how many people died during the invasion, with estimates ranging from 80 to several hundred. But in the months that followed, as scores of people were arrested and thousands sent for “re-education” under a program of “normalization,” hope was replaced by fear and defiance with dejected resignation. That despair was captured most drastically on Jan. 16, 1969, when Jan Palach, a student at Charles University in Prague, went to Wenceslas Square and set himself on fire in protest — a moment captured on film. He died several days later, and thousands attended his funeral. Others would imitate his self-immolation, but the Prague Spring was over. The Stalinist winter would last two decades. Jirina Siklova, a sociologist in Prague who was a member of the Communist Party before the invasion, said that in the 1960s, she would frequently travel abroad and talk to curious students who viewed the socialist system as a possible cure to what ailed their own societies. That notion died when the tanks rolled into Prague. Europe finds itself more divided than at any point since the end of the Cold War. Bedrock institutions of the postwar order, such as NATO, have come under questioning from a U.S. administration inherently suspicious of alliances. The events that played out 50 years ago in Prague serve as a reminder of the fragility of the systems created to guard against war and tyranny. Hana de Goeij contributed reporting.